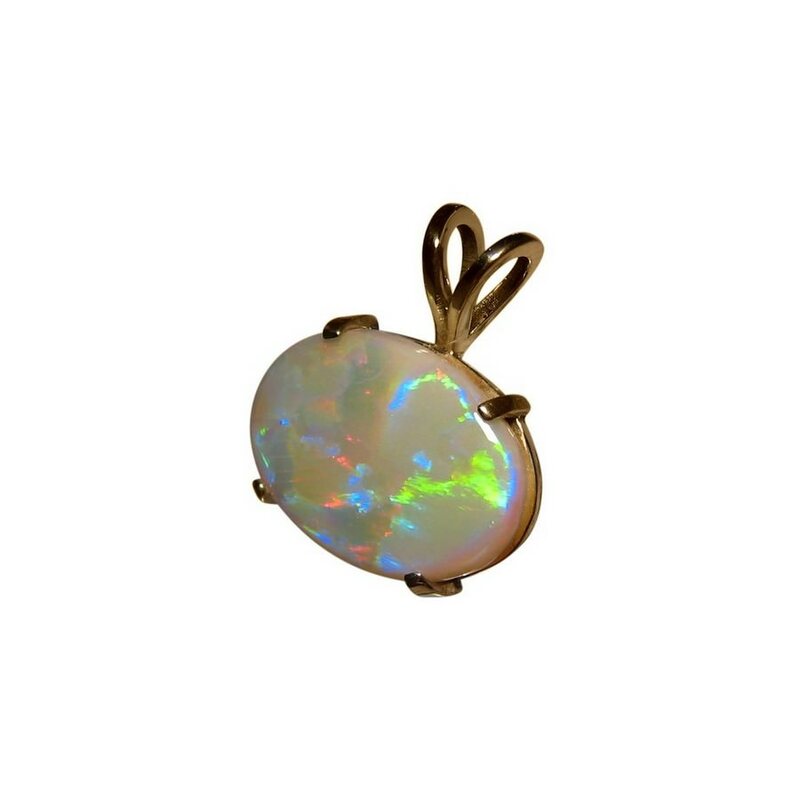 A solitaire Opal pendant with a semi Black Opal prong set in 14k Yellow Gold. 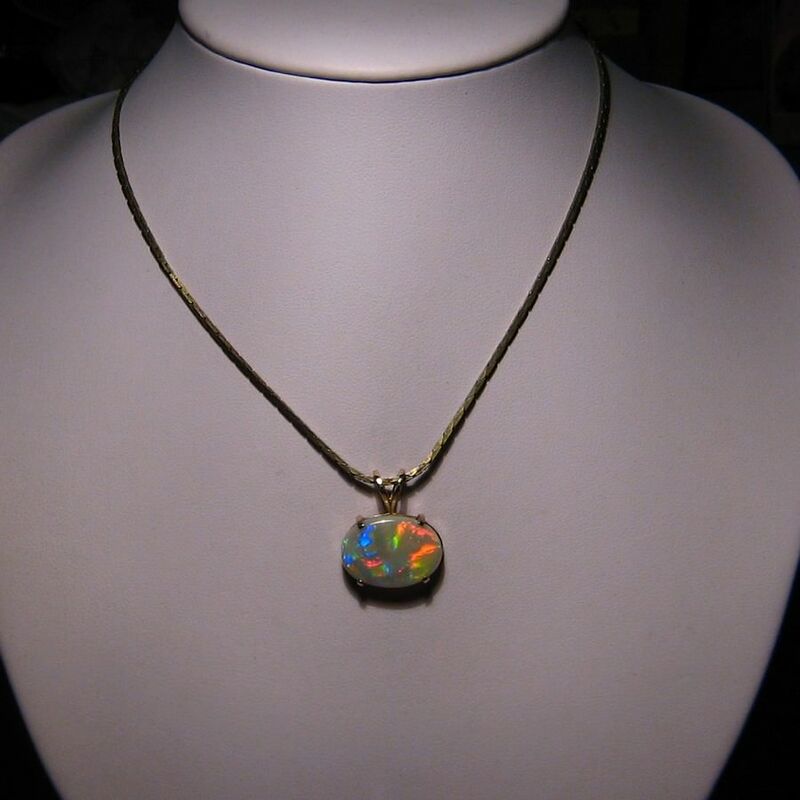 A Semi Black Opal pendant in 14k Yellow Gold with a Lightning Ridge Opal set east to west. 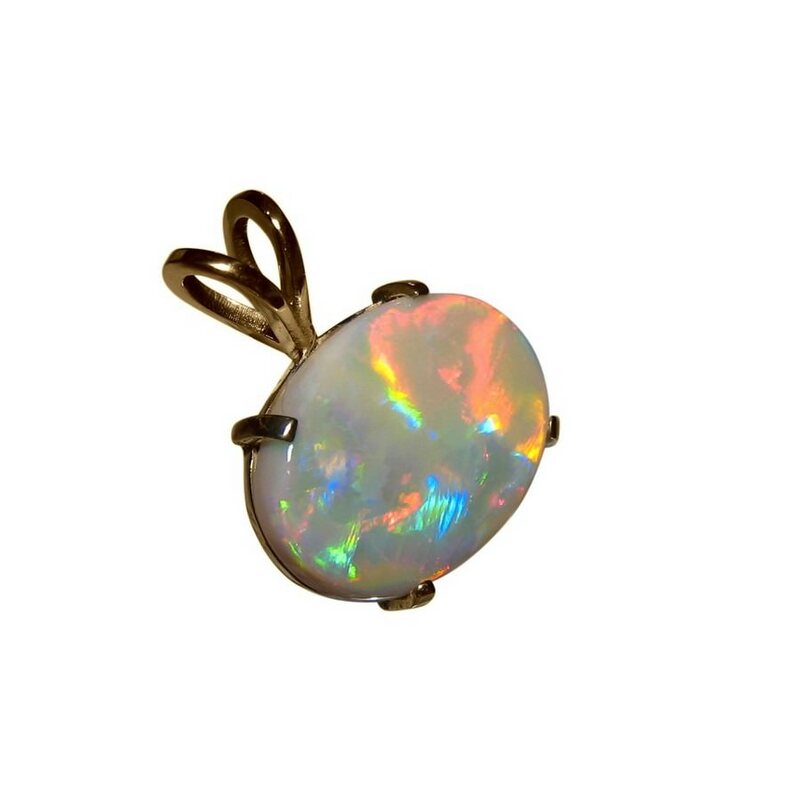 The Opal weighs 5.4 carats and flashes a gorgeous mix of colors in a Patch Flame play of color best viewed in the video below. 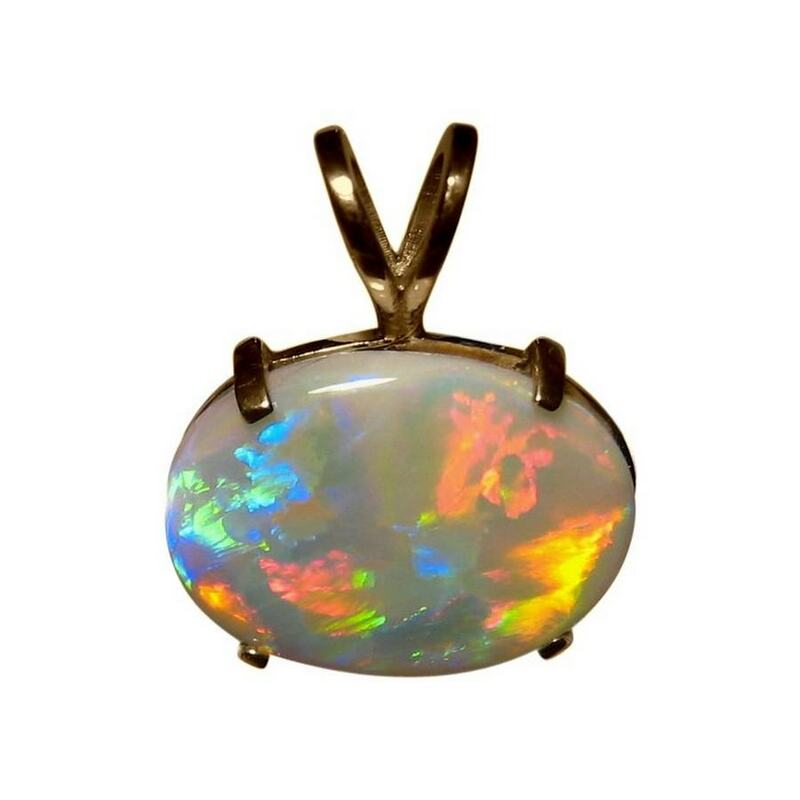 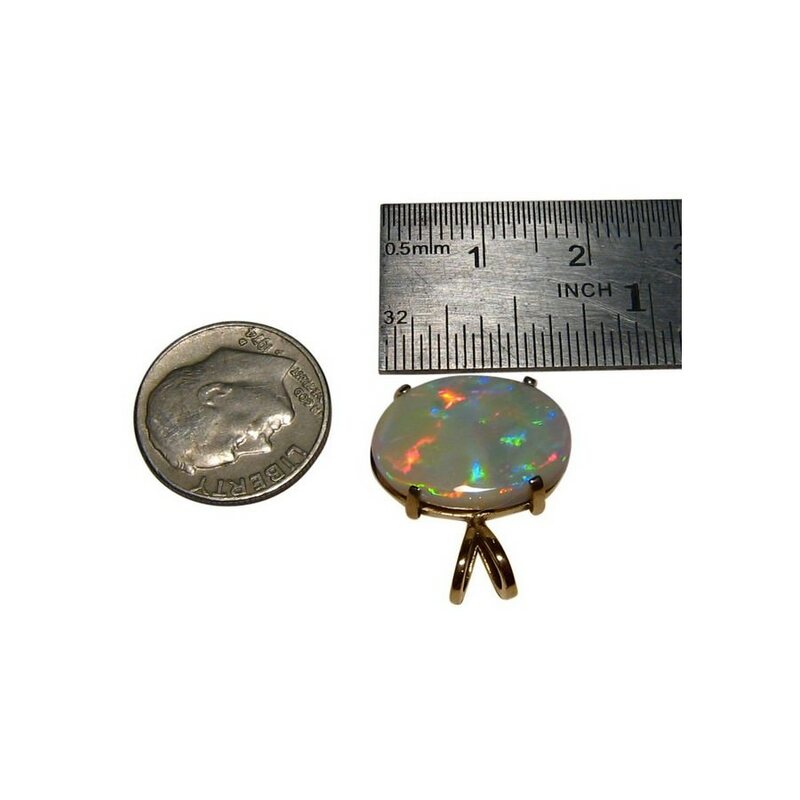 A quality Opal pendant that is ready to ship now but does not include a chain.